Michelle Bridal by Sydney’s Closet has been in business since 2013 and offers many beautiful but affordable plus size bridal gowns. Fit and style are the keys. These bridal styles are both gorgeous and affordable. Key features include larger cups and longer, stronger, boning in strapless gowns. The company’s size chart and fit have been developed specifically for plus size customers. 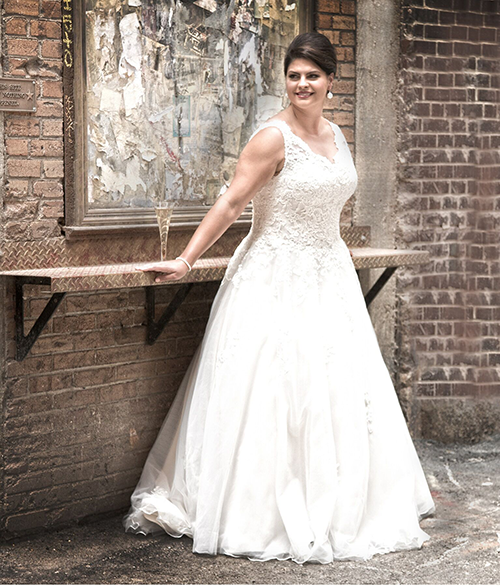 All gowns vary in size depending on the body style but the brand has gowns available in US size 14 to 36, or UK 18 to 40. The brand now has stockists in the UK. In addition, items can be shipped from the USA in 3-5 days or can be special ordered with estimated shipping in 15 weeks. Michelle Bridal are exhibiting at The Harrogate Bridal Show, 9-11 September 2018, Stand B17.